Help your users connect with each other like never before. No programming required. Chat bots change the way your users communicate with each other. 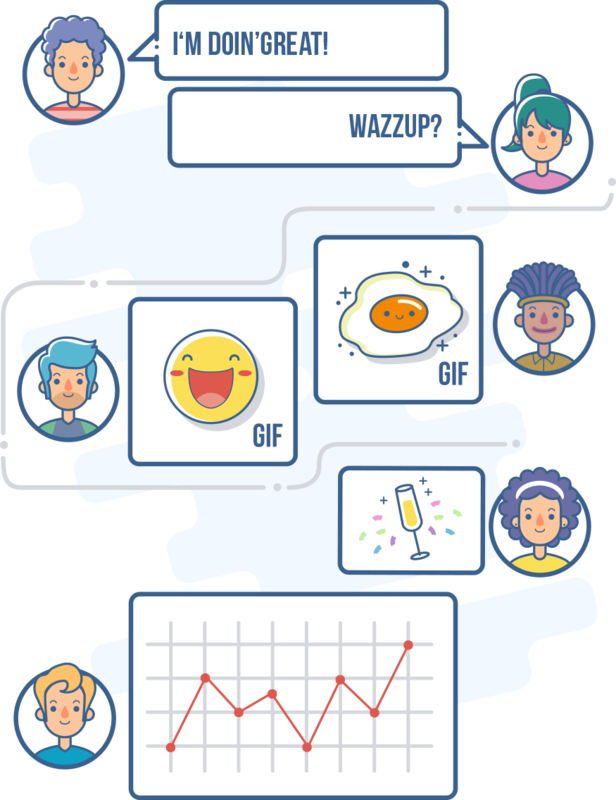 Enable your users to express using GIFs, get latest weather updates before stepping out, pull real-time stocks & news before investing, figure which restaurant to go by taking a poll, call an Uber and more. And all of it, without ever leaving the chat. The Bots.co Platform enables you to create and manage bots without the need to learn code. In seconds your users will be able to use our ready-to-use bots within your chat. You can also create your bots or tailor ours exactly as per your use-case. Easily understand how to create complex bots. Simple to use, even when performing advanced functions. Use existing or create your own bots in a few minutes.